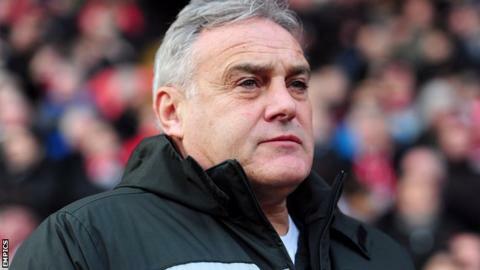 Sheffield Wednesday manager Dave Jones has been fined £2,000 by the Football Association and been handed a suspended one-match touchline ban. Jones admitted a charge of improper conduct during their win over Brighton. His touchline ban is suspended until the end of the next season and will only be served should he breach FA rules again before then. Meanwhile, a similar charge against Brighton first-team coach Charlie Oatway has been withdrawn by the FA. Both Jones and Oatway were charged after being sent to the stands near the end of the match at Hillsborough. A challenge by Wednesday's Danny Pugh on Inigo Calderon sparked a fracas on both benches.